Review In A Nutshell: Defy the Stars is a stand-out sci-fi novel that is sure to make an impact. 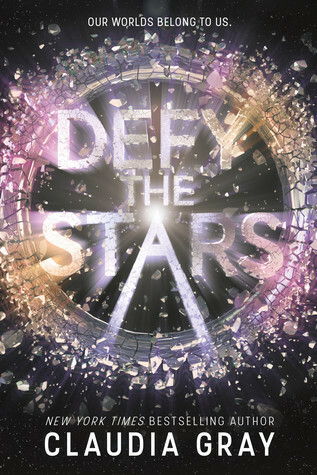 Defy The Stars is an epic sci-fi book following Noemi Vidal and Abel. Noemi is a soldier of the planet Genesis, and will soon be partaking in a suicide mission to protect her planet from Earth. However, after she meets Abel, a human-looking robot who was abandoned by his creator, she goes on a quest to find another solution to saving her planet. This book is a fun read, with a lot of heart. It is full of deep themes, revolving around faith, sacrifice, and what constitutes a soul. There is also an abundance of action and adventure wrapped in this fast-paced plot. The writing style is great, full of both laugh of loud lines and tear-jerking moments (that ending killed me). The characters are another fantastic aspect of this book. Noemi’s character development is done really well, as she struggles with grief, religion, oh and the fate of her entire planet. Although I have to admit, Abel is probably my favorite character. His growth from start to finish is astounding, and I loved reading from his point of view. The two of them together are adorable and hilarious, but their romance definitely doesn’t take over the plot. It’s built up slowly and in a very believable (and cute) way. Defy The Stars is a wonderful read, and this series may just become one of my favorite sci-fi books.